This qualitative case study was framed by an experiential learning approach organized around video resources and linguistically and culturally responsive content teaching. The study explored an overarching research question: How did teacher-learners in a grant project interact with a multimedia learning platform that combined teaching video and VoiceThread presentation, called VT project, designed to enhance their linguistically and culturally responsive content teaching (LCRCT) for English learners (ELs)? Data included participants’ VT projects, online and face-to-face class discussions, survey results, and final reflective papers in two TESOL courses as part of a National Professional Development grant program in a Midwestern University. Analyses demonstrated that the technology-assisted course design generally promoted a critical habit of mind among teacher-learners through opportunities to attentively notice and critically reflect on one’s own and others’ teaching practices. Teacher-learners demonstrated a shared ownership over their teaching processes while establishing a reflective discourse community, where the LCRCT framework guided their learning and practices of LCRCT for ELs. Study implications include ways for the teacher-learners to transfer their learning from this reflective multimedia-supported TESOL program into their classrooms, schools, and districts, as well as the challenges. The research was conducted by the three instructors who designed and implemented the course. Kim, S., Song, K. & Coppersmith, S. (2018). Creating an Interactive Virtual Community of Linguistically and Culturally Responsive Content Teacher-Learners to Serve English Learners. 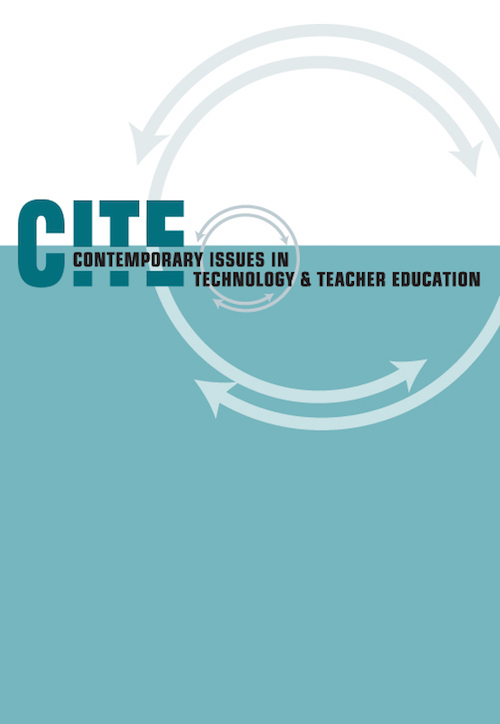 Contemporary Issues in Technology and Teacher Education, 18 (2), 442-466. Waynesville, NC USA: Society for Information Technology & Teacher Education. Retrieved April 20, 2019 from https://www.learntechlib.org/primary/p/178237/. Aguirre, J., Zavala, M., & Katanyoutanant, T. (2012). Developing robust forms of preservice teachers’ pedagogical content knowledge through culturally responsive mathematics teaching analysis. Mathematics Teacher Education and Development, 14(2), 113-136. Bass, R. (2012). Disrupting ourselves: The problem of learning in higher education. EDUCAUSE Review, 47(2), 1–17. Blomberg, G., Stürmer, K., & Seidel, T. (2011). How preservice teachers observe teaching on video: Effects of viewers’ teaching subjects and the subject of the video. Teaching and Teacher Education, 27(7), 1131–1140. Borko, H., Jacobs, J., Eiteljorg, E., & Pittman, M.E. (2008). Video as a tool for fostering productive discussions in mathematics professional development. Teaching and Teacher Education, 24(2), 417-436. Brophy, J. (Ed.) (2004). Advances in research on teaching: Using video in teacher education. Oxford, UK: Elsevier. Bunch, G. (2010). Preparing mainstream secondary content-area teachers to facilitate English language learners' development of academic language. Yearbook of the National Society for the Study of Education, 109(2), 351-383. Charmaz, K. (2010). Grounded theory: Objectivist and constructivist methods. In W. Luttrell (Ed. ), Qualitative educational research: Readings in reflexive methodology and transformative practice (pp. 183-207). New York, NY: Routledge. Commins, N., & Miramontes, O. (2006). Linguistic diversity and teaching. Mahweh, NJ: Lawrence Erlbaum Associates. Costa, A., & Kallick, B. (2005). Habits of mind. Moorabbin VIC: Hawker Brownlow. Dhonau, S., & McAlpine, D. (2002). “Streaming” best practices: Using digital videoteaching segments in the FL/ESL methods course. Foreign Language Annals, 35(6), 632– 636. Ebsworth, M.E., Feknous, B., Loyet, D., & Zimmerman, S. (2004). Tape it yourself: Videotapes for teacher education. ELT Journal, 58(2), 145–154. Echevarria, J., Vogt, M.E., & Short, D.J. (2017). Making content comprehensible for English learners: The SIOP model. Boston, MA: Pearson. Filmore, L.W., & Snow, C. (2000). What teachers need to know about language. Washington, DC: Center for Applied Linguistics. Firdyiwek, Y., & Scida, E.E. (2014). Reflective course design: An interplay between pedagogy and technology in a language teacher education course. International Journal of ePortfolio, 4(2), 115–131. Gay, G. (2010). Culturally responsive teaching: Theory, research, and practice. New York: Teachers College Press. González, J.M., & Darling-Hammond, L. (1997). New concepts for new challenges: Professional development for teachers of immigrant youth. Washington, DC: Delta Systems and Center for Applied Linguistics. Halliday, M.K. (1978). Language as social semiotic. London, UK: Edward Arnold. Harford, J., & MacRuairc, G. (2008). Engaging student teachers in meaningful reflective practice. Teaching and Teacher Education, 24(7), 1884–1892. Harford, J., MacRuairc, G., & McCartan, D. (2010). “Lights, camera, reflection”: Using peer video to promote reflective dialogue among student teachers. Teacher Development, 14(1), 57–68. Hatch, T., & Grossman, P. (2008). Learning to look beyond the boundaries of representation: Using technology to examine teaching. Journal of Teacher Education, 60(1), 70–85. Hewitt, J.I.M., Pedretti, E., Bencze, L., Vaillancourt, B.D., Yoon, S., & West, B.S. (2003). New applications for multimedia cases: Promoting reflective practice in preservice teacher education. Journal of Technology and Teacher Education, 11(4), 483–500. Jay, J.K., & Johnson, K.L. (2002). Capturing complexity: A typology of reflective practice for teacher education. Teaching and Teacher Education, 18(1), 73–85. Jackson, M.J., & Helms, M.M. (2008). Student perceptions of hybrid courses: Measuring and interpreting quality. Journal of Education for Business, 84(1), 7-12. Janzen, J. (2008). Teaching English language learners in the content areas. Review of Educational Research, 78(4), 1010-1038. Lemke, J. (2007). Video epistemology in-and-outside the box: Traversing attentional spaces. In R. Goldman, R. Pea, B. Barron, & S.J. Derry (Eds. ), Video research in the learning sciences (pp. 39–51). Mahwah, NJ: Lawrence Erlbaum. Liggett, T. (2014). The mapping of a framework: Critical race theory and TESOL. The Urban Review, 46(1), 112–124. Lord, G., & Lomicka, L.L. (2004). Developing collaborative cyber communities to prepare tomorrow’s teachers. Foreign Language Annals, 37(3), 401–408. Lucas, T., & Villegas, A.M. (2011). A framework for preparing linguistically responsive teachers. In T. Lucas (Ed. ), Teacher preparation for linguistically diverse classrooms: A resource for teacher educators (pp. 55–72). New York, NY: Routledge. Lucas, T., & Villegas, A.M. (2013). Preparing linguistically responsive teachers: Laying the foundation in preservice teacher education. Theory Into Practice, 52(2), 98–109. Lucas, T., Villegas, A.M., & Freedson-Gonzalez, M. (2008). Linguistically responsive teacher education: Preparing classroom teachers to teach English language learners. Journal of Teacher Education, 59(4), 361–373. Meskill, C. (2005). Infusing English language learner issues throughout professional educator curricula: The training all teachers project. Teachers College Record, 107(4), 739–756. Nemirovsky, R., & Galvis, A. (2004). Facilitating grounded online interactions in videocase-based teacher professional development. Journal of Science Education and Technology, 13(1), 67–79. Newhouse, C.P., Lane, J., & Brown, C. (2007). Reflecting on teaching practices using digital video representation in teacher education. Australian Journal of Teacher Education, 32(3), 51–62. Nieto, S. (2002). Language, culture, and teaching: Critical perspectives for a new century. Mahwah, NJ: Lawrence Erlbaum Associates. Pennycook, A. (1999). Introduction: Critical approaches to TESOL. TESOL Quarterly, 33(3), 329–348. Petrides, L.A. (2002). Web-based technologies for distributed (or distance) learning: Creating learning-centered educational experiences in the higher education classroom. International Journal of Instructional Media, 29(1), 69–77. Portes, P.R., & Smagorinsky, P. (2010). Static structures, changing demographics: Educating teachers for shifting populations in stable schools. English Education, 42(3), 236–247. Richards, J. (1995). Towards reflective teaching. English Teacher’s Journal, 48, 59–63. Richards, J. (2013). Creativity in language teaching. Iranian Journal of Language Teaching Research, 3, 19-43. Rosaen, C.L., Lundeberg, M., Cooper, M., Fritzen, A., & Terpstra, M. (2008). Noticing: How does investigation of video records change how teachers reflect on their experiences? Journal of Teacher Education, 59(4), 347–360. Schleppegrell, M.J. (2007). The linguistic challenges of mathematics teaching and learning: A research review. Reading& Writing Quarterly, 23(2), 139-159. Servage, L. (2008). Critical and transformative practices in professional learning communities. Teacher Education Quarterly, 35(1), 63–77. Sherin, M.G. (2000). Viewing teaching on videotape. Educational Leadership, 57(8), 36– 38. Sherin, M.G., & Han, S.Y. (2004). Teacher learning in the context of a video club. Teaching and Teacher Education, 20(2), 163–183. Song, K. (2014). Meeting emerging needs of online coaching in teacher education: Communication, pedagogy, technology and reflection. In T. Yuzer, & G. Eby (Eds. ), Emerging priorities and trends in distance education: Communication, pedagogy, and technology (pp. 56-71). Hershey, PA: IGI Global Disseminator of Knowledge. Star, J.R., & Strickland, S.K. (2008). Learning to observe: Using video to improve preservice mathematics teachers’ ability to notice. Journal of Mathematics Teacher Education, 11(2), 107–125. Tochon, F.V. (2008). A brief history of video feedback and its role in foreign language education. Calico Journal, 25(3), 420–435. Turner, E.E., & Drake, C. (2016). A review of research on prospective teachers’ learning about children’s mathematical thinking and cultural funds of knowledge. Journal of Teacher Education, 67(1), 32-46. Van Es, E.A. (2012). Examining the development of a teacher learning community: The case of a video club. Teaching and Teacher Education, 28(2), 182–192. Vygotsky, L.S. (1978). Mind in society: The development of higher psychological functions. Cambridge, MA: Harvard University Press. Zhang, M., Lundeberg, M., Koehler, M.J., & Eberhardt, J. (2011). Understanding affordances and challenges of three types of video for teacher professional development. Teaching and Teacher Education, 27(2), 454–462.